In 2013 we moved from our original centre in Bilbrook, to the new and purpose built Codsall centre, less than half a mile away. 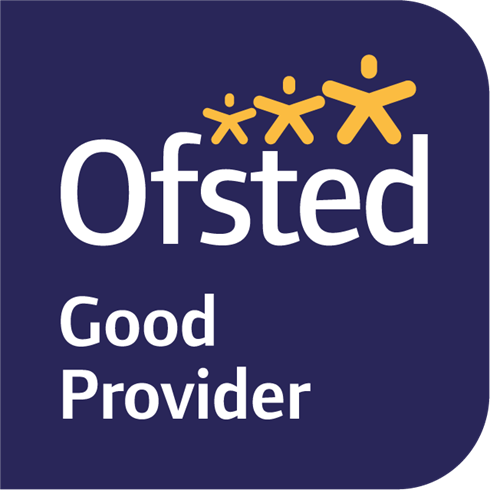 Codsall can care for up to 120 children each day but took care to maintain the warmth and community we’d built over the last 9 years. All of our Bilbrook families moved with us and we now care for many of their younger siblings. The new centre has a range of modern facilities including bespoke children’s bathrooms for each age group, a full kitchen where fresh meals are prepared daily and separate milk kitchens for bottle preparation and storage. It has ten carefully designed classrooms, each specifically designed for the age and development of the children in it. Our resources include tummy time mirrors, cosy dens, model kitchens, ball pits, toddle boxes, computers and so much more. Beyond the soft surface area is a large, secure and privately maintained, grassed area. We have raised vegetable beds where our children help the gardeners to grow seasonal vegetables. The large, covered decked area offers our children another outdoor environment to enjoy whilst sheltered from the elements. 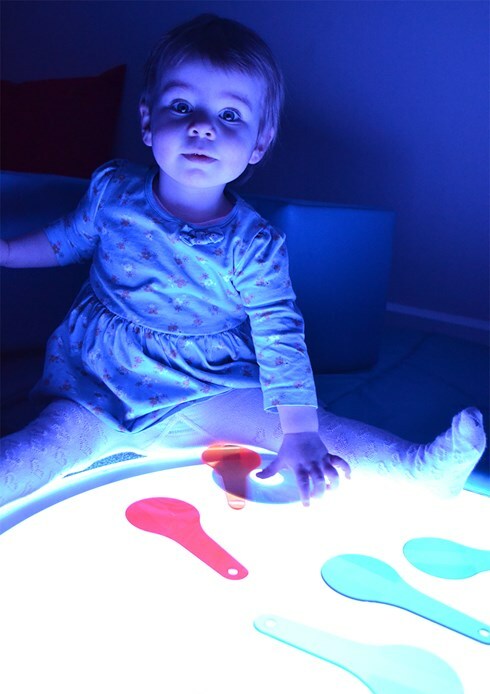 A Sensory room is designed to support children by providing a flexible environment that stimulates their senses. Our Sensory room is filled with soft play pieces, lights and sounds which can be altered to fit the needs of the children using it. Young children learn primarily through their senses, so a room filled with different sights, sounds and textures is always full of discovery. The room can also benefit our older children and in particular those with additional needs. The room can be set to create a relaxing atmosphere which can soothe children and allow them to feel comfortable in a calm space, or provide a little bit of excitement with big sounds and lots of lights. The whole centre knows when someone’s in the music room! The room is filled with all sorts of instruments for children to enjoy. From drum sets and guitars to rock out on, to traditional multicultural instruments which are always a bit different. The room is lots of fun for our budding musicians. The room also provides a space for children to enjoy ring games, songs and dances as a group. From the Hokey Cokey with Pre-school to enjoying lullabies with Babies there’s always something musical going on. Heuristic play is when children use their sense to explore objects from the world around them. By being able to explore real items and discover how they feel, sound and move when played with, children form understandings of their world. Our Heuristic room is filled with all sorts of objects, from cardboard tubes and boxes, to metal bowls and feathers, providing an environment where children can explore and learn about what things are and how they work. This supports them to build on their understandings of how things look, feel, sound and move. The benefits of reading and enjoying books is one that has been proven time and time again. Studies show that reading to children, even before they are born, can support their communication skills immensely. Every room in the centre has lots of different reading materials but we are privileged to have the addition of our library. Filled with all sorts of adventures, it is a wonderful space for children to explore books by themselves or to enjoy an animated story time with puppets and props. The catalogue of books means our practitioners have access to a wide range of stories, fact books, traditional tales, poems and rhymes. All of which support children’s listening and speaking skills as well as being heaps of fun. Julie began working in childcare as an Apprentice in 2002. She joined ABC as a Team Leader in 2011 and soon earned the title of Centre Manager. She played a pivotal role in the move from Bilbrook to Codsall and has managed our Codsall centre since it opened in 2013. Julie manages over 30 staff each day and she creates and maintains great relationships with all of our parents. She has always wanted to work with children and genuinely believes that childcare is not a profession, but a vocation. After gaining experience elsewhere, including a nursery in Spain, Kirsty joined ABC in 2010. She thrived in Team Leader roles in both Pre-school and Juniors, and took on the role of Assistant Manager in early 2014. Kirsty and Julie ensure that whilst Codsall is a bigger, purpose-built centre, it always maintains the warmth and personal feel that Bilbrook exuded. She’s never afraid to be silly with the children and she enjoys the fascinating conversations with them. She also loves playing a part in their achievements.